Winter is coming, and if there is one season you need to prep your wardrobe for, this is it. Trying to remain fashionable in Winter can be challenging, but don’t let the cold weather ruin your style! Investing in a few key, versatile pieces will ensure you keep warm at work this Winter, while still looking sophisticated and stylish. 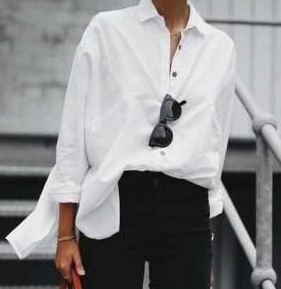 A white shirt is the most versatile piece you will ever purchase. It can be dressed up or down for a more casual, but chic look. Not only can it be paired with your favourite pair of trousers or pencil skirt, but it can be layered under dresses and jumpers to create endless different looks. Take time to find a style that suits you and invest in one of higher quality that will take you through to next Winter. You’re likely to wear it at least once a week, so the price per wear will definitely be worth it! No matter what the season, a little black dress is always a wardrobe essential. However, in Winter it really will become your saviour when picking an outfit for work in a rush (a.k.a every Monday morning). It’s also perfect for days when you want to add a touch of sophistication, whether it be for an important meeting or an Interview. Stick to neutral colours as they are less memorable, this way you can get away with wearing it frequently, without it looking like you only own one outfit. Style it with a long coat and thick tights or wear over your white shirt for an alternative look. Having a nice coat is essential for work. Whether it’s for walking into the office first thing, or going to meet someone for lunch it is usually the first thing people will notice about your outfit. We are all aware that in Winter it’s extremely hard to avoid wearing all black, every day. A camel coat is a nice alternative, it will still go with everything but is a little more stylish and very on trend this Winter. Investing in a smart, on trend coat can make the simplest of outfits look well put together, making it a must have for this time of year. There is no rule that says you must wear heels to work everyday. On cold mornings, the last thing you want to do is slip your bare feet into a pair of high heels, especially if your commute to work involves walking, standing on trains or waiting for busses. A pair of smart Loafers or Chelsea boots are a great alternative! They are comfortable but still smart and office appropriate. No outfit is complete without the perfect bag. A tote bag is ideal for the office as it will fit your laptop, paperwork, snacks or anything else you hoard in your bag (we all do it!) A classic, neutral colour like a brown, black or grey will ensure it goes with any outfit. However, a bag can be a great way to add a pop of colour to a dull outfit, so don’t be afraid to opt for a more vivid, staple piece!